Okay, so I saw a friend of mine on Facebook found this "I Write Like" analyzer which informed her she wrote like (take 1) David Foster Wallace, (take 2) Stephen King and (take 3) Arthur C. Clarke. So I had to try it and plugged in a short excerpt with dialog from the latest installment of "The Lost Chord," my music appreciation thriller parody of Dan Brown's "The Lost Symbol." At the New York Times' "PaperCuts Blog," blogger Jennifer Schuessler found out she writes like Edgar Allan Poe. But then a colleague plugged in an excerpt from Poe's "Fall of the House of Usher" and was told he writes like Arthur Conan Doyle. Anyway, given the premise of "The Lost Chord," I am perfectly satisfied with this result! 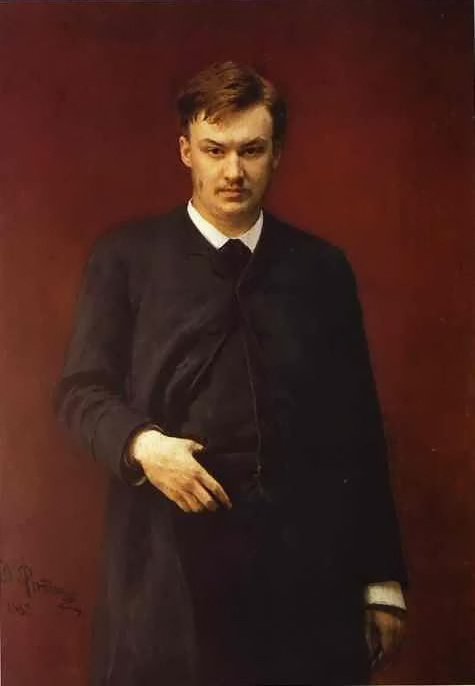 Alexander Glazunov is not a well known or highly respected composer today: he is more remembered as the alcoholic conductor who ruined the premiere of Rachmaninoff's 1st Symphony and as an old-fashioned past-his-prime relic who ran the St. Petersburg Conservatory in the years around the Bolshevik Revolution before falling out of favor with the new Soviet ethic. Yet in Russia in his day, he was regarded as a major composer, a prodigy who'd written his first symphony when he was 16, the darling of the nationalists until he became too much a cosmopolitan academic. Today, his ballet “The Seasons” survives in a dance world starved for works from the Golden Age of the Russian Imperial Ballet, his Violin Concerto (once very popular) is still occasionally heard in the concert hall, though in this country few of his symphonies or string quartets are ever dusted off. The Cypress Quartet is returning to the midstate for the Pennsylvania Academy's “Vivace!” Festival, held in and around Lititz this summer, and on their performance next Wednesday (July 14th at 7:30pm, Lititz Church of the Brethern at 300 W. Orange Street, Lititz PA) they'll be playing Claude Debussy's Quartet and Jennifer Higdon's Impressions on a program that also includes the first two Novelettes by Glazunov, from a suite of five pieces he composed around the time he wrote his 2nd Symphony which he dedicated to the memory of Franz Liszt and began his 3rd String Quartet. The title, Novelettes, as well as the dedication of the 2nd Symphony, indicate part of the “problem” of Glazunov and his generation. Considered the “Second Generation” after the handful of Russian Nationalists known as “The Five” – Balakirev, Borodin, Rimsky-Korsakov, Mussorgsky and (oh yes) Cesar Cui – and the more internationally accepted cosmopolitans like Tchaikovsky and Anton Rubinstein, Glazunov and his contemporaries fell in between the cracks of their teachers and then their students – Rachmaninoff, Skryabin (or, if you prefer, Scriabin), Prokofiev and Shostakovich. Glazunov's style is usually regarded as a mix of his mentors' nationalism with a dash of the romantic aura of Orientalism (perhaps most famous in Rimsky-Korsakoff's “Scheherezade”) combined with the cosmopolitan absorption of Western European elements also heard in Rubinstein and Tchaikovsky that in itself was a kind of mash-up of Liszt on the one hand and Mendelssohn on the other. “Novelettes” is a title straight out of Schumann, who'd died 30 years earlier – short pieces inspired by something vaguely literary, along with the “ballades” of Chopin or Schumann's short character pieces inspired by E.T.A. Hoffman (Kreisleriana, Papillons). His “Novelettes,” a collection of eight piano pieces published in 1838, tell no specific story but have a “literary quality” about them, despite any direct narrative: no story is supplied, the pieces lack any fanciful titles beyond tempo indications and a generic mood (“Lightly and with Humor”). It's probably not entirely coincidental that Schumann's father was a book-seller and Glazunov's was a publisher. A novelette, by the way, was a once popular alternate term for a “novella” or short novel, somewhere between a short story and a full-fledged novel. 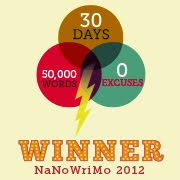 One source suggested it was decided more by word-count (7,000 to 17,000 words) than by the nature of its content. Later, in the 20th Century, given the attitude about size and quality, it became a derogatory term implying triteness or sentimentality, or a “not-quite-ready-for-prime-time” novel. Glazunov's approach to the title might be more “what the heck do I call these five pleasant little pieces?” than emulating Schumann or deciding to offer some vague literary allusions. If anything, they're mood pieces in various styles and whether the similarity in the material is conscious (as in “theme and variations in different styles”) or an accident of their all being composed quickly at the same time, I'm not sure (nor am I sure it really matters). The first is marked “In the Spanish Style.” The second is subtitled “Orientale.” The third is called “Interlude in an old style,” evoking perhaps Russian Orthodox chant but in a highly romanticized arrangement, complete with a very non-Russian fugue (speaking of Western academicism). The fourth one is a Waltz and is typical of Glazunov's ability with a lush (as in luscious) dance tune from the golden Imperial Age of Russian ballet. It concludes with a Hungarian Dance. Rather than plumbing the depths of musical thought – as might be expected from a medium where Beethoven's Quartets are usually lurking just off-stage – these pieces were composed for a party given by Glazunov's patron, the industrialist Mítrofan Belyáyev who bankrolled many projects for Russian composers in St. Petersburg. This is, basically, Glazunov at the age of 20 or 21. (Incidentally, the portrait at the top of the post is by Ilya Repin, painted the following year.) Glazunov composed with legendary facility and his music was generally greeted without much concern or controversy (beyond the initial debut when people refused to believe a 16-year-old could write a symphony like that and accused his well-to-do parents of paying someone to write it for him). But around the time he turned 40, this ease came to a grinding halt. Part of this may have been the responsibilities of taking over the St. Petersburg Conservatory from his mentor Rimsky-Korsakov in 1905 after he ran afoul of government during the political upheaval that almost became a revolution. His alcoholism worsened – though it had already played a very likely part in the disaster of Rachmaninoff's 1st Symphony in 1897: it was enough that he didn't care for the piece and made comments about not understanding it. He was finding himself a man-out-of-touch with what was going around him, musically. 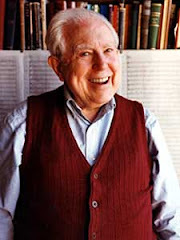 In the 25 years from his first published works to the 1905-1906 Season when he completed his last symphony, there are 85 opus numbers in his catalog. In the remaining 30 years of his creative life, there are only 24 works, mostly inconsequential by comparison even though they include both his piano concertos (the 2nd, in B Major, is one I've always liked and wondered why no one plays), the last two string quartets (the last one, subtitled “Hommage au passé”) and the Saxophone Concerto which one occasionally hears as much because there aren't many Romantic-style concertos for the instrument (despite its being composed in 1934) as it's the last major work he composed. If his teaching responsibilities didn't have a serious enough impact on him – whether or not the alcoholism was a symptom or a contributor to his creative decline – the political and social climate of the new 20th Century certainly undermined everything he as a conservative held dear, both socially and musically. Though he stayed after the Communists took control of the government and lived through the privations of the 1st World War, the two 1917 Revolutions and the ensuing Civil War, he never really regained the status he had enjoyed as a young man in the Imperial Age. When he left the Soviet Union for the West, he did so “for reasons of health” rather than as a political refugee like Rachmaninoff, Prokofiev or Stravinsky: if nothing else, this allowed his music to still be performed “back home.” But he spent the last eight years of his life as an exile in Paris, a man without a country (or even a culture) and, ironically for a man as “cosmopolitan” as he was, musically, little musical inspiration. Dmitri Shostakovich, the leading symphonist of the Soviet era, owed a great deal to Glazunov the teacher and administrator. His recollections in Semyon Volkov's highly questionable memoir, “Testimony,” include stories of Glazunov's legendary memory. We owe the Overture to Borodin's Prince Igor to that memory since Borodin, a busy chemist and professor as well as composer, did not live to complete the opera or jot down anything for the overture. He'd played through it at the piano for his friends: Glazunov had heard one of these performances and was able to write it down later. Another story was how the composer Taneyev had come to Belyayev to play his new symphony at the piano for him: meanwhile, the teen-aged Glazunov had been hidden in an adjacent room, listening to the performance. When it was over, Belyayev called Glazunov into the room as if he'd just arrived and said, as it happened, this young man was going to play through his new symphony as well. And he sat down and played Taneyev's symphony back to him, note for note. While there is also the famous story of Glazunov keeping a bottle of vodka in his desk drawer, a rubber hose hidden in his coat connecting to the bottle so he could sip on it during his lessons, it's perhaps kinder to end with the fact – whatever he thought of “new music” – Glazunov arranged the premiere of his student Shostakovich's 1st Symphony with the Leningrad Philharmonic in the same hall where his own 1st Symphony had been premiered 44 years earlier and had created just as much of a stir when the teenaged composer walked out on-stage to accept the cheers of the audience.